You are here: Home » FREE first month of The MightyFix! FREE first month of The MightyFix! 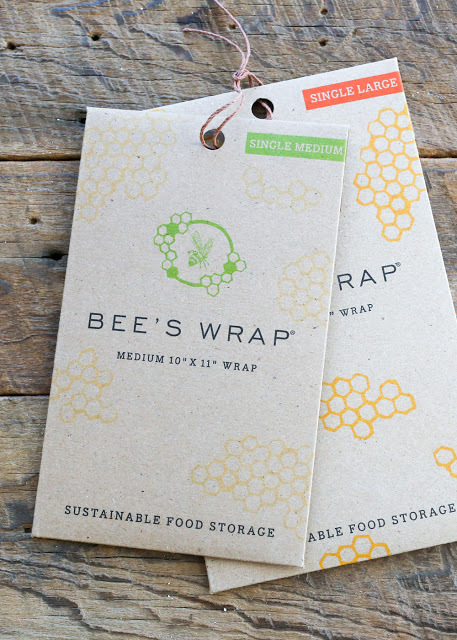 Have you heard of Bee’s Wrap? I’m obsessed with it right now and I am absolutely thrilled to be partnering with MightyNest to share this amazing kitchen product with you today as part of October’s MightyFix! What’s The MightyFix? Every month, MightyNest will ship an amazing product to you to help your family live healthier. Membership is $10 a month (and shipping is FREE), but the value of the products you receive will always be higher than that. This month’s MightyFix is an innovative replacement for plastic wrap. 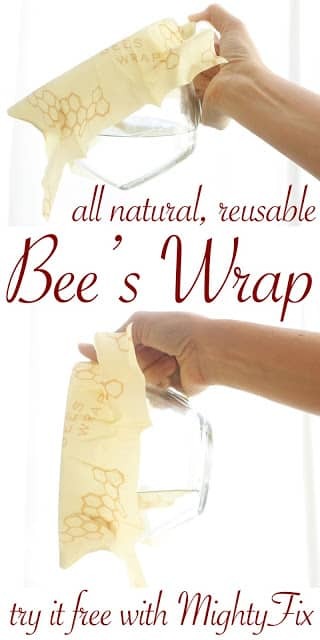 Bee’s Wraps are made from organic cotton muslin, beeswax, jojoba oil, and tree resin. They are a completely safe food wrap that can be used again and again. Cover a bowl, wrap a sandwich, pack fresh vegetables for snacking; simply wrap the foods and then allow the warmth of your hands to seal the wrap. I’ve used these wraps so many different ways and I really do love them. I am giddy to be sharing Bee’s Wraps with you today and offering you a chance to try them at no cost to you! Sign up below, and do it fast, because the FIRST MONTH FREE offer is only valid while supplies last! Enter your email and receive a code to automatically discount your order to FREE for your first month of the MightyFix! Enter your email to sign up right now, and you’ll receive a code that will automatically discount your order to FREE for your first month of the MightyFix! Disclosure: I’ve partnered with MightyNest to share The MightyFix with you. Thank you for supporting the brands that make Barefeet In The Kitchen possible. As always, all thoughts are my own. 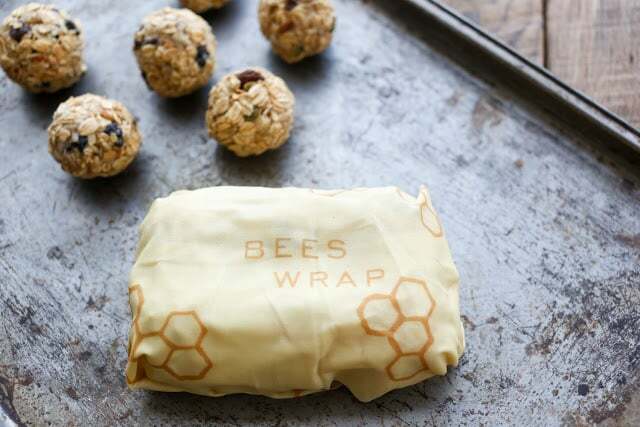 I *LOVE* bee's wrap!!!! I have the sandwich wrap with the cute little button and use it daily for school.